One of our liquid consumables is Cosmosoap®. It is used as an additive to water for dissolving Toyobo Cosmolight® CTP water wash plates. Cosmosoap® is 100% VOC free and has a very good solubility in water. Additionally, it can be used in hard as well as soft water. A major advantage compared to regular dishwashing tablets is the fact that there is no foam buildup during use. Cosmosoap® is engineered specifically for optimally dissolving Cosmolight® CTP in water-wash processors. Cosmosoap® is liquid-based. Therefore, dosing can be done automatically with a dosing pump. 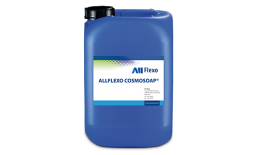 Allflexo and Toyobo recommend adding liquid consumables as Cosmosoap® when the pH value of the washout water is below 11. On the Aquasupreme and Cosmoline, the pH measurement can be done digitally. Therefore the dosing of Cosmosoap® can be added automatically. Material Safety Data Sheet (MSDS) available. Flexosil® is a liquid consumable which is engineered specifically to prevent buildup of ink during the print process. Flexosil® is applied as a spray on the plate surface before going to press.  Flexosil® has a compound which forms a layer on the photopolymer plate edge. This eliminates ink buildup. Certain print conditions and substrates can cause buildup of ink on the flexo printing plate. Ink buildup can be seriously detrimental to the print quality. Therefore when ink buildup is noticed, the plates need to be cleaned because it can cause press downtime. A specific example of extremely good results is for printing on paperboard, where small particles can accelerate ink buildup. Allflexo Flexosil® liquid consumable has been used for several years by a number of high-volume customers. Flexosil® has been proven to effectively prevent ink buildup. By adding liquid consumables such as Ultrasil to the washing water, a periodic maintenance has been achieved. This is recommended on water-wash plate processors with a membrane filter, such as the Aquasupreme and Cosmoline. For flexo printers who use water-wash, Ultrasil liquid consumable can be very effective to increase filtration output. Ultrasil is a powerful and concentrated cleaning agent specifically engineered for dissolving solid particles which can build up on the inside of the fine-mesh membrane filtration unit. It is recommended to use Ultrasil once a month. Upon adding the Ultrasil to the washout tank, it is recommended to let the membrane pump on to let the membrane filter flush at 40°C overnight for a period of at least 12 hours.